Mike Russell is Vice President, Surety Marketing Manager for Federated Insurance and Granite Re. 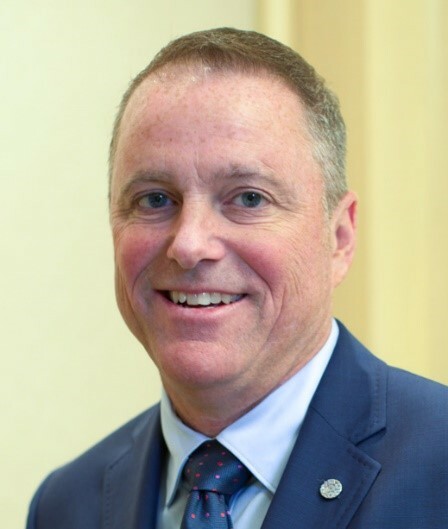 Mike manages Federated’s team of surety marketing specialists across the country, and serves on the board of directors for Granite Re; an independent, wholly owned subsidiary of Federated Insurance, focused on providing contract bonds to the construction industry. Mike has been with Federated for 34 years, holding various positions in marketing and management. Mike grew up on a farm in Madelia, MN and graduated from Winona State University in Winona, MN in 1984, and currently serves on the Board of Trustees for WSU. Mike is an accomplished endurance athlete and has competed in some of the world’s most challenging races. He enjoys traveling and has visited six of the world’s seven continents.